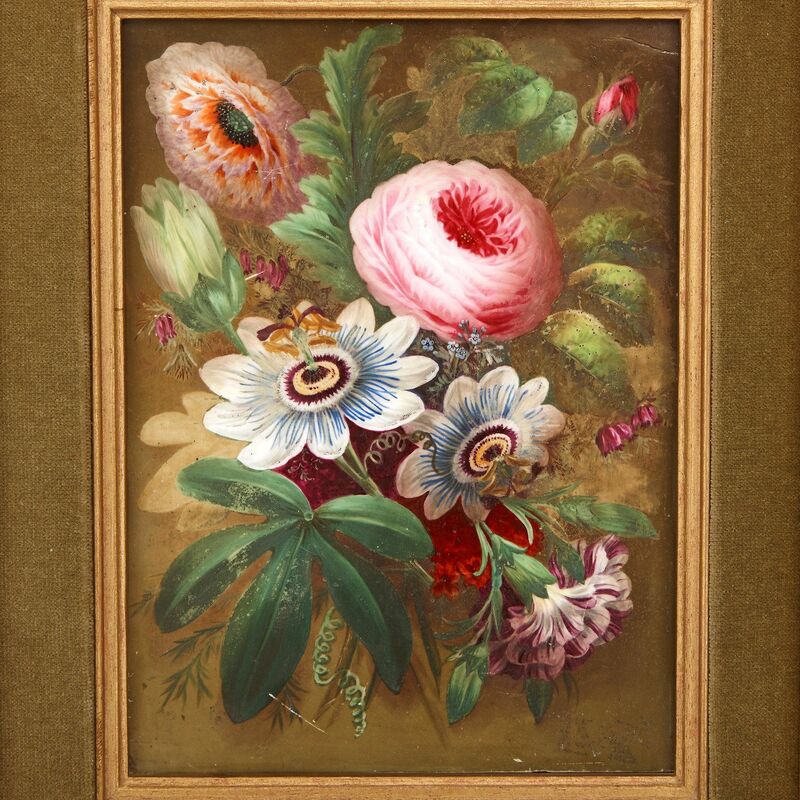 This unusual double sided antique porcelain plaque features delicately painted English flowers on both sides, and is set within a tilting giltwood frame. 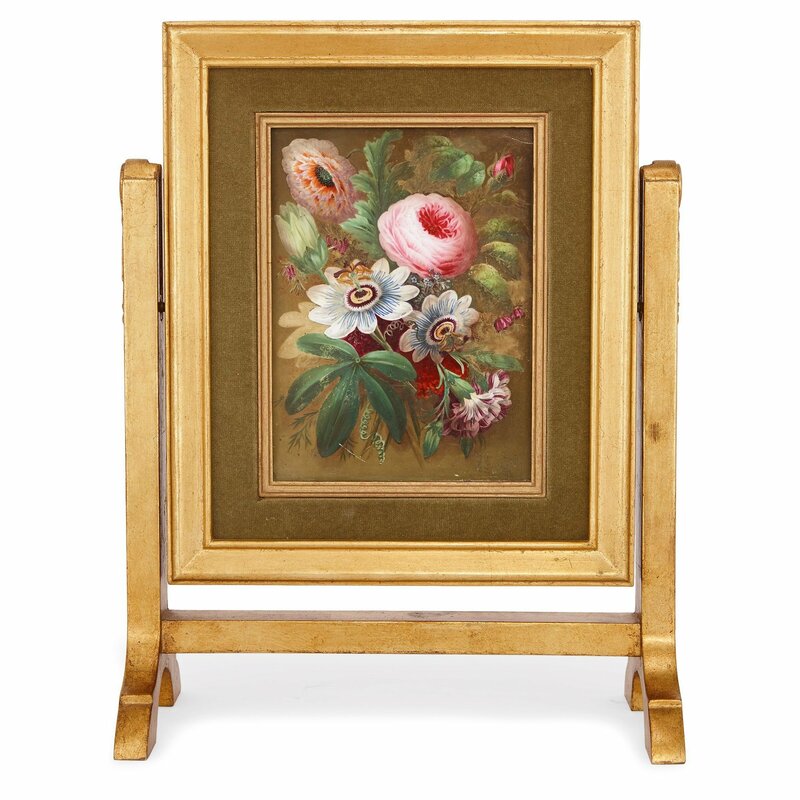 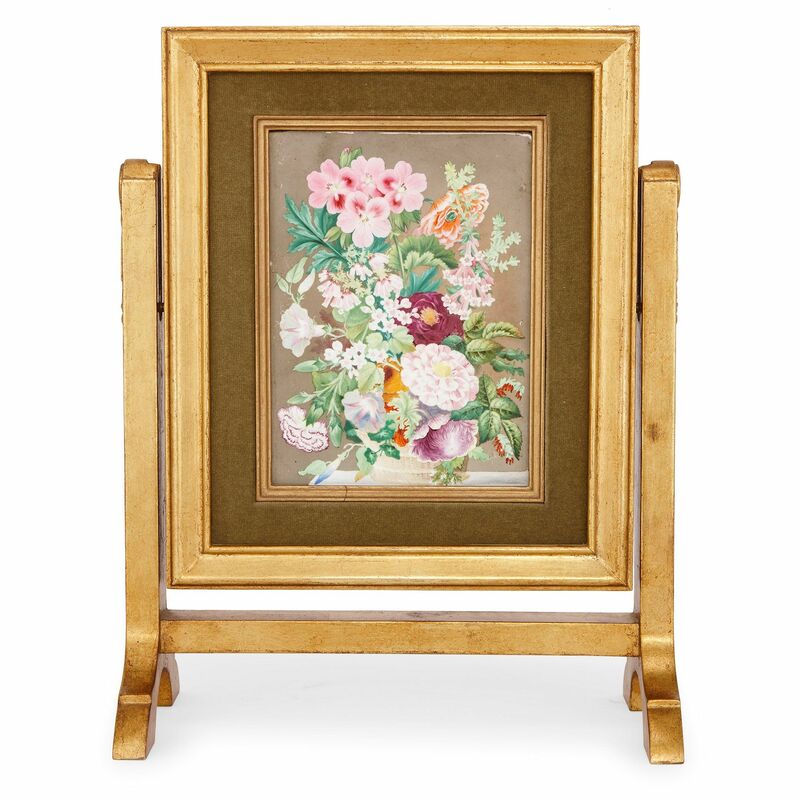 The porcelain plaque is set within a giltwood frame and stand, and features painted floral compositions to each side. 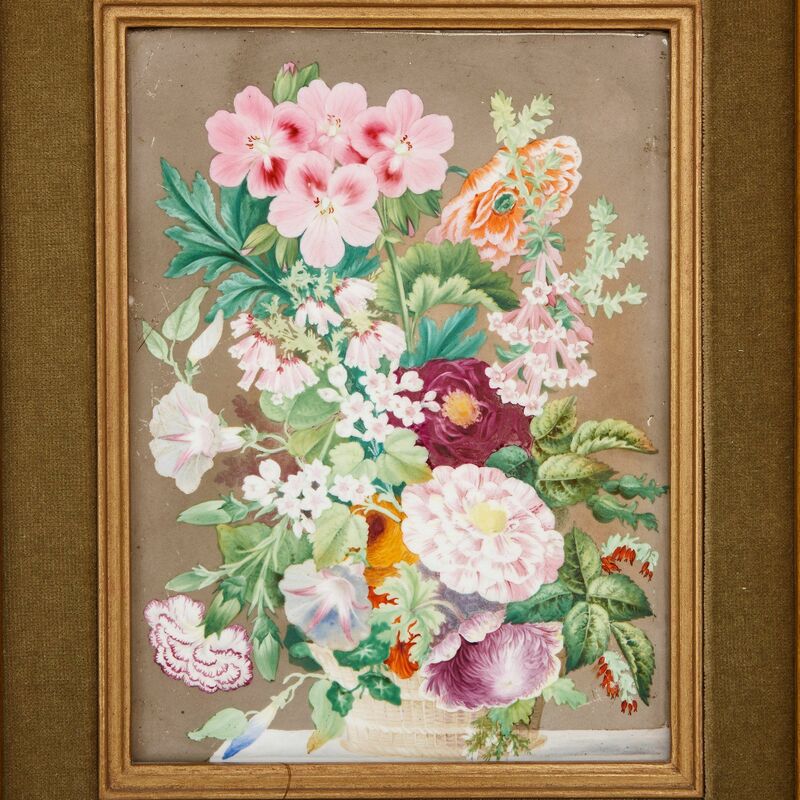 One side depicts large pink roses and lilac clematis, and the verso depicts pale pink carnations and abundant foliage. 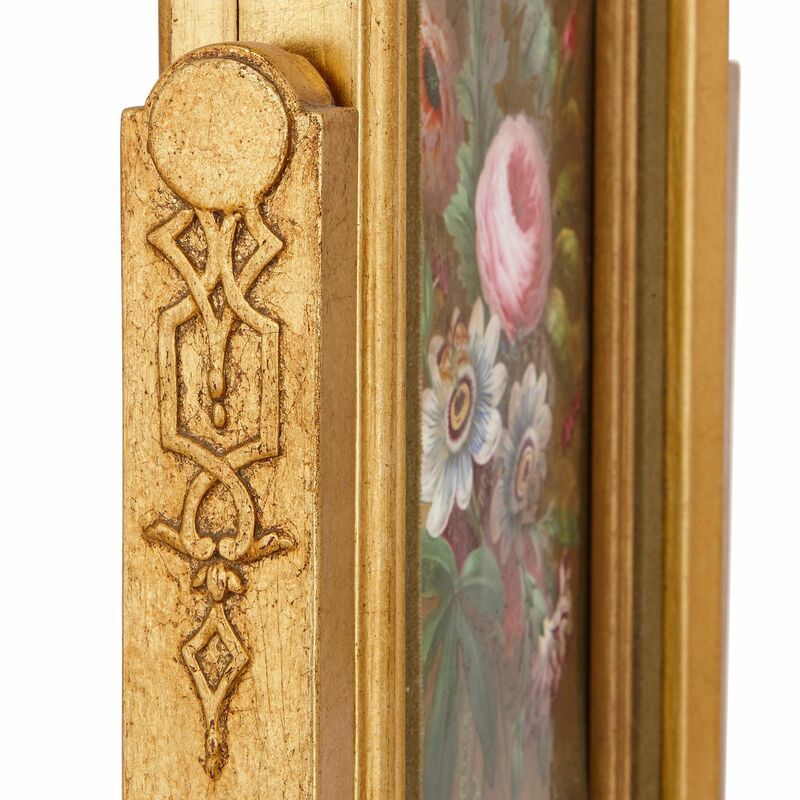 The frame can be tilted within the stand, and features carved details to the upper legs of the stand.